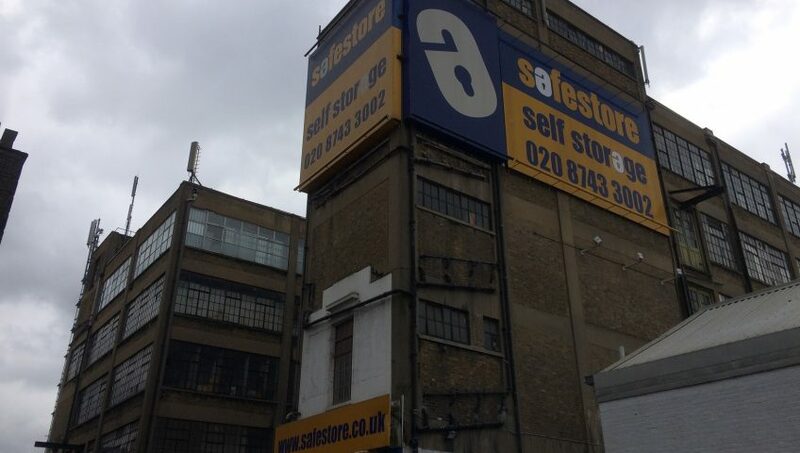 Structural Renovations are currently employed to carry out concrete repairs to the old YMCA building on the Barbican Estate that is currently being converted into apartments. Following the successful completion of surveys and colour matched structural repairs to a number of structures on the listed Barbican Estate, Structural Renovations carried out a brief condition survey of the building prior to taking over by the developer. 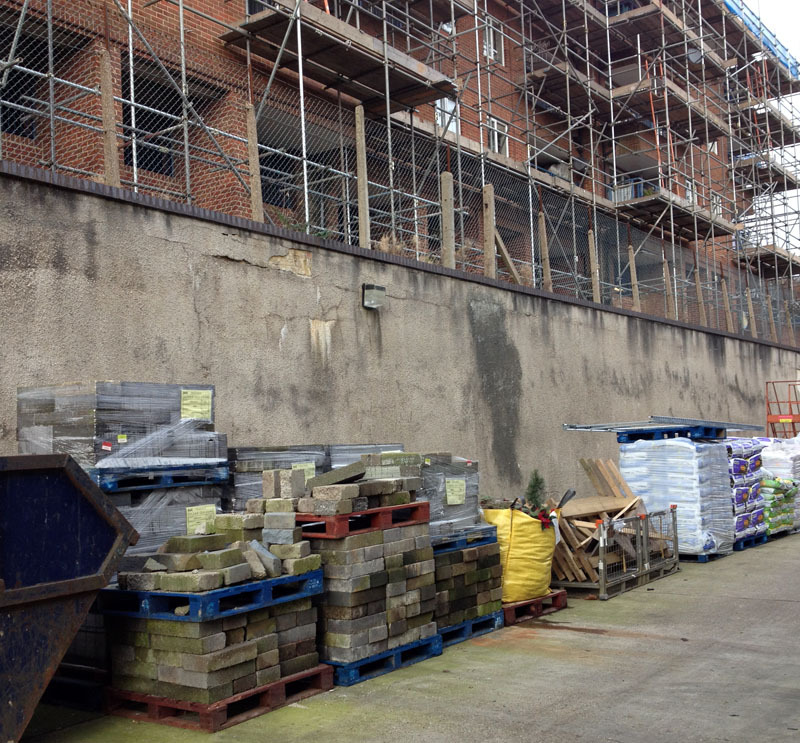 A further in depth survey was carried out and we were subsequently awarded the repair package. 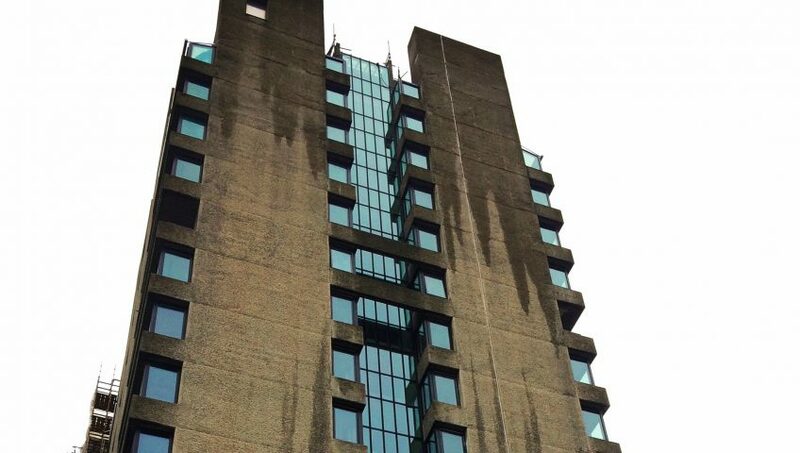 Repairs are being carried out using the specification developed for the Barbican Estate repairs consisting of a Remmers high build structural repair mortar and finished with colour matched decorative mortars and a clear coating to replicate the brutalist finish of the 1960s & 70s. 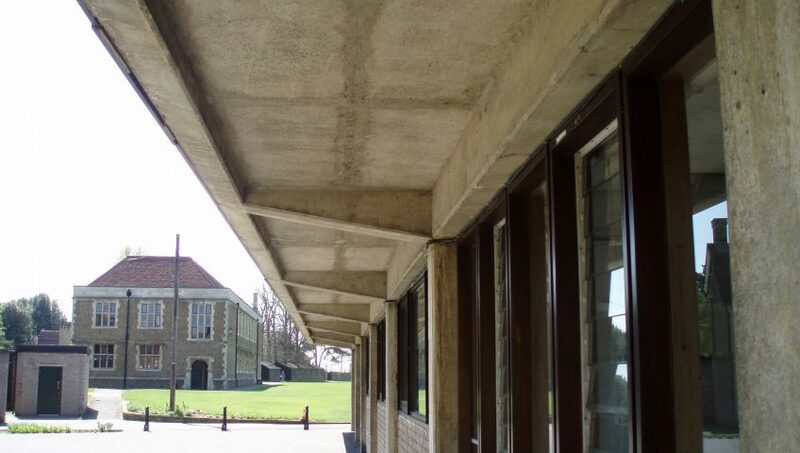 We have been carrying out extensive repairs to the concrete cills, heads and roof overhangs of the Broadbent Building & adjacent gym block at Heron Hall Academy. The buildings are on the site of the old Middlesex University with a number of other buildings being demolished, these two buildings have been retained & refurbished to preserve the 1950’s art deco facades & listed features. 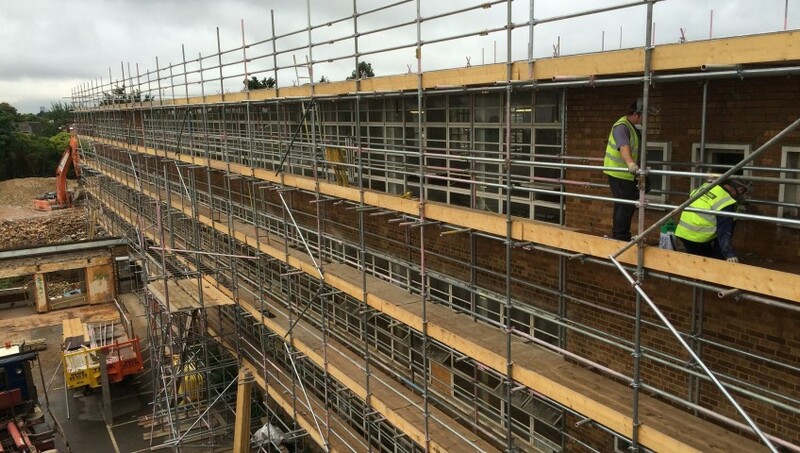 Flexcrete products have been used for concrete repairs, surface profiling & anti-carbonation coatings, additionally Helifix products have been used to repair cracked brickwork. 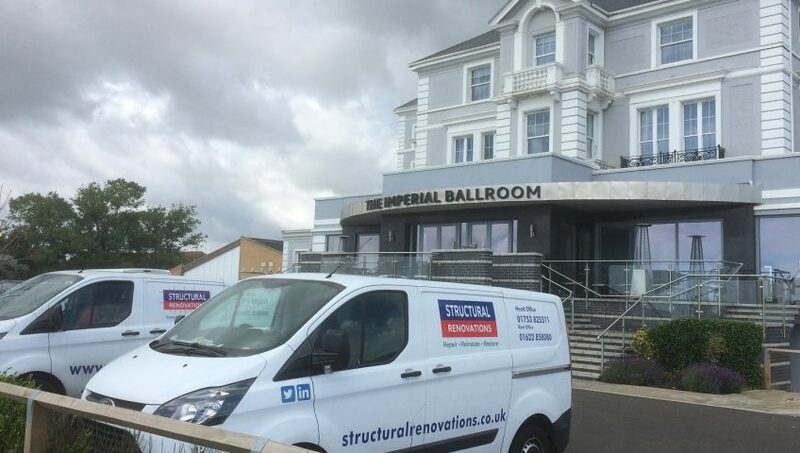 The Pavilions Retail Park is bounded on one side by a 5m high retaining wall constructed from concrete and brickwork faced in places with render. The 240m long wall has been constructed in phases over a number of years and has suffered from water ingress and root damage. 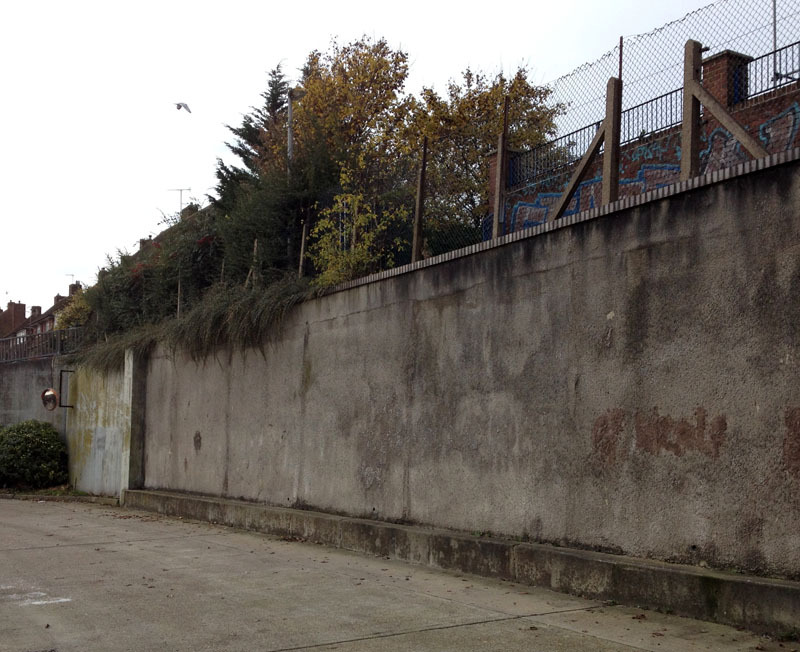 The Company has been appointed to carry out a make safe survey removing all loose materials that could be hazardous along the adjacent fire route, storage and public areas and to establish the condition of the wall along its whole length in order that a repair programme can be prepared for implementing.